Kevin Pillar led major league center fielders during the 2016 season in defensive runs saved (DRS), Ultimate Zone Rating per 150 games (UZR/150), out of zone plays, all the things that are supposed to tell you in 2016 who’s the best in the field. Advanced defensive metrics are the reason that a former 32nd-round draft pick with a .688 career OPS is regarded, rightfully, as a star. 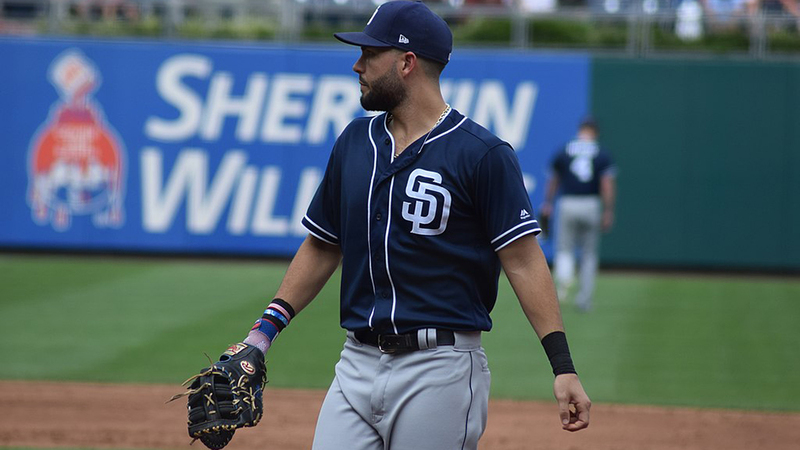 The proliferation of defensive numbers has made it easier to concretely communicate just how good a player like Pillar is, rather than just saying, “yeah, he’s good out there, but he still doesn’t hit enough.” Because of the defensive aspects incorporated in Wins Above Replacement (WAR), we know that Pillar is a three-win player, and quite valuable to a Blue Jays team that’s made back-to-back trips to the American League Championship Series. The numbers love Pillar. It’s not a new concept that professional baseball players would be averse to fancy stats, and if you talk to enough outfielders about DRS and UZR (Ultimate Zone Rating), there are some common phrases that pop up, starting with an assertion that a player’s only responsibility is to contribute on the field. Because the stats are flawed, players will say that they don’t follow the numbers, but then often have specific examples to cite of players who are done wrong by the numbers. Sticking up for teammates is commonplace, but there are also rivals who are viewed as benchmarks at their positions, and it can be jarring to see them rated poorly by difficult-to-grasp metrics. Jones is an interesting case because, when asked about the best defensive outfielders he sees, Boston’s Jackie Bradley Jr. – no slouch himself – names the Orioles’ stalwart first. It’s not a case of recency bias, either, because at the time he’s asked the question, it has been been nearly a month since the Red Sox last saw Baltimore. It’s good to know when numbers don’t line up with what “baseball guys” with “a pretty good idea of who’s good out there” are seeing. The rise of metrics does not mean that the eye test is to be disregarded entirely, because just as there are things that human observation can miss, there are things that the numbers can miss. A fielder’s decision-making process, for instance, might not show up in his defensive metrics. It does, however, go both ways. Take the case of Jones and his four Gold Gloves. Jones tallied a -10 DRS in 2016, and ranked 15th in FanGraphs’ defensive rating among 17 qualifying center fielders. The advanced stats haven’t always been friendly to Jones, which points to an overall conflict between analytics and observation, but the fact that the 2016 numbers showed a dramatic slip should raise a red flag. Jones turned 31 in August, and the suggestion that he’s lost a step would come from not only his fielding numbers slipping, but the fact that he’s basically stopped stealing bases and has, over the past few years, taken far fewer extra bases as a runner. Jones has been a really good center fielder in his career. Gold Gloves are notorious as an indicator, but you don’t win four of them by accident. There comes a point, though, when a player can be established in hearts and minds as something different from what he is becoming or has become in the actual field of play. That’s where statistics can have a kind of utility that an eye test for outfielders will have a harder time catching, because of all the variables that go into outfield play. At the same time, it cuts the other way. “Here’s where I’m into the numbers – it’s for the guy that’s not so obvious, the guy that hasn’t made his mark yet,” says Cubs manager Joe Maddon. “If you can accumulate enough information about that particular guy, and you can tell me why he’s going to be good in advance of him being good, that’s where I like the number. But I already know who’s good. You know who’s good, he knows who’s good, we all know who’s good. To what extent he’s good, maybe this gives you a little bit greater indicator of that, but a lot of the sabermetric numbers for me are about acquisitions – they’re acquisitional tools that I think unearth the guy that’s been hitting a little bit and hasn’t gotten the big play yet. Exit velocity for hitters is collected by Statcast, and baseball’s video system has plenty of defensive goodies, too. When the data collected from pinpoint video can be complete and turned into statistics that we don’t yet have, there then may be greater acceptance of defensive metrics among on-field personnel. 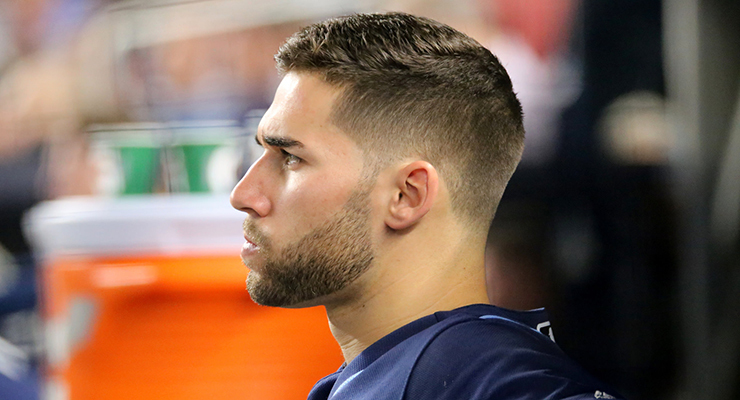 Kiermaier pointed to a play on which George Springer of the Astros robbed a grand slam but didn’t get four defensive runs saved. There will always be naysayers, but Werth likes that Statcast has baked-in objectivity, while Pillar sees the system grading players for the right things. In the meantime, the baseball world works with the numbers it has, because they’re not meaningless. Better defense means more outs, and more outs are good. Defensive runs saved might not be perfect, but six of the top nine teams in the category in 2016 made the playoffs, including the Cubs with 82 – 31 more than AL-leading Houston, a team that missed the postseason by only five games. So, it’s worth taking seriously. The smartest people and teams in baseball want as much information as they can get, whether it’s spit out by computers or scratched out by pencil on paper. The point is to get as full a picture as possible in order to run your team to the best of its capability. Positioning is important enough to Roberts and the Dodgers that on a May trip to New York, there was a controversy about Los Angeles using a laser rangefinder to determine the best spots for outfielders, then marking the field. Jason Heyward also doesn’t get paid to get it. He gets paid to get the ball, something he did so well that he was a win and a half above replacement level in 2016 despite hitting .230/.306/.325 with a career-low seven home runs. We know that the numbers say a lot about how high the quality of Heyward’s defense is. What we don’t know is the extent to which a player of Heyward’s caliber influences his teammates’ performances. Dexter Fowler clocked in at -12 DRS as a center fielder in 2015 while primarily playing alongside Jorge Soler and Chris Coghlan. With Soler and Heyward as his primary wingmen in 2016, Fowler was up to +1. While that’s an interesting case, Peter Bourjos went from +4 with the 2014 Cardinals to -7 DRS in 2015, when Heyward played alongside him. It’s tough to say exactly what the impact level is for each of the variables that swing these numbers from year to year, but what is constant is the idea of trying to get better, however better might be measured. Positioning is a tricky thing, because you’re not going to be able to fulfill the desire expressed by veteran righty Mat Latos: “I would like them to play exactly where the ball’s going to be hit. Normally, that’s where I’d like them to play.” But there’s a give and take to it. A shallow center fielder would figure to save more singles, while a deep position would guard against doubles and triples. It just goes to show that there’s no set answer on positioning, which by necessity has to factor in the type of contact a team’s pitchers might give up, how much range the infielders have to track down pop-ups, and on and on. It’s not hard to see why baseball has taken so long to even start to quantify defense in a way more advanced than counting plays made and errors, and why it’s not as simple as saying a grand slam-saving catch is worth four defensive runs saved – no matter how intuitive that notion might be. Rest assured, baseball statistics are not made up as a way to create jobs. The point of player evaluation, whether the way it’s been done for more than a century, or in a way that’s newer, is to gain a competitive advantage in building a team. Or, ask the outfielders themselves. Says Fowler: “I’m actually really good at it.” Fowler and his now-former manager are not alone in that belief. The numbers are all over the place with Bradley’s list, but that’s not a bad thing. When you can match superior performance on the eye test to superior stats, you know that someone is indeed playing at such a high level. As far as center fielders go, that’s Pillar and Kiermaier. Not that they care what the numbers say. Jesse Spector is a national columnist for FanRag Sports, sports columnist for Dealbreaker and freelancer based in New York. The host of "Jesse Spector Is..." on Tampa Bay Lightning Power Play Radio, Jesse is the former national baseball writer and national hockey writer for Sporting News. Before that, he was the Rangers beat writer for the New York Daily News, and the writer of the Touching Base baseball blog. Jesse also has written for Newsday, Baseball America, ESPN SportsTicker and The Associated Press. Follow him on Twitter @jessespector. I wish this site had an edit function on the comments. I’ve gotta say that the “why isn’t it 4 DRS” comment struck me as silly because it is a criticism that shows the guy didn’t understand what the stat is supposed to say. It is comparing to an average fielder’s runs saved. If an average fielder *never* makes the play, then great, have your 4 runs. Otherwise, it won’t be worth 4 runs since some of the time an average outfielder will rob a home run…and there are some home runs that average major leaguers will almost always rob if they are hit high, etc. I should add that “average” actually comes into play twice in this calculation. When it’s said that a HR is worth 1.4 runs, that is runs above average, i.e., runs above what a batter on average would do in a random PA. Then, using that value, one has to determine how often that catch is made on average. It seems silly to even assign value based on the offensive value of the HR. Robbing a HR is great, but it isn’t necessarily more impressive than any other OF play that required good read/speed/jump even if just to turn a shallow foul pop up with nobody on base into an out. Furthermore, some parks (Wrigley) or segments of OFs (Green Monster)completely take away the OF ability to rob a HR. That’s true right now, at the current state of defensive stats. It may or may not be true in the future, depending on how much defensive stats improve. For comparison, look at offensive stats, particularly just batting. One really doesn’t need an eye test there, the stats are good enough to evaluate a hitter quite precisely, given a large enough sample size. If defensive stats were ever to become as accurate and reliable as offensive stats, then they would and should replace the eye test. Only in MLB can we see awards for defense be based almost entirely on offense, and yes, you can win Gold Gloves on accident, because they aren’t based on defense, they are based on offense totals. I’m not fond of the way Baseball Info Solutions does its Defensive Runs Saved evaluations, mainly because I don’t think they have enough eyes on each play. I asked John Dewan (head of BIS) how many people he had evaluate each play, and he barked, “Fifty!” and walked away. I think the big disconnect for the players and fans when judging defense is that the baseline for CF or SS is ridiculously high. Almost everyone passes the eye test. The stats are trying to separate great from very good and the dynamic range is narrow. The best CF is truly special, while the 15th best is still very very good at playing CF. Combine that lack of understanding with the fact that few opportunities dictate the stat outcome and you have your ammunition to hate UZR or DRS. In some ways, DRS is its own worst enemy because it hasn’t really solved the scaling problem. Nobody doubts that Mookie Betts is an exceptional right fielder, but only John Dewan and his employees believe that he really reduced the Red Sox’ runs-against by 32 as against an average performer. That damages the credibility of what seems to be a pretty sound methodology. I don’t really care what players think about advanced stats because many, if not most, buy into the “he just knows how to win” meme.